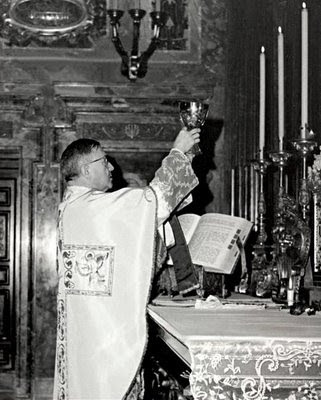 St. Josemaría Escrivá (1902-1975), the founder of Opus Dei, celebrated the traditional Latin Mass all his life as a priest. He had mystical experiences in connection with it. He loved it so much that he obtained permission (it was thought at the time that such permission was necessary) to continue with the Mass he had always offered, rather than shifting over to the Novus Ordo Missae. These are facts that deserve to be better known. A marvelous gallery of photos of the saint celebrating the usus antiquior may be found here. For spiritual reading, my son has been using St. Josemaría’s three famous books of aphorisms — The Way, The Furrow, and The Forge — and has taken pleasure in sharing with me some wonderful remarks on liturgy and the virtues it forms in the soul. It is obvious from reading the remarks that they emerge out of the rich spirituality of the traditional Mass and the healthy phase of the Liturgical Movement. Modern-day members and supporters of Opus Dei would benefit from rediscovering this important side of their founder and his life of prayer. There are, as one might expect, different stories circulating around about what exactly happened after 1969, some of them more colorful than others. 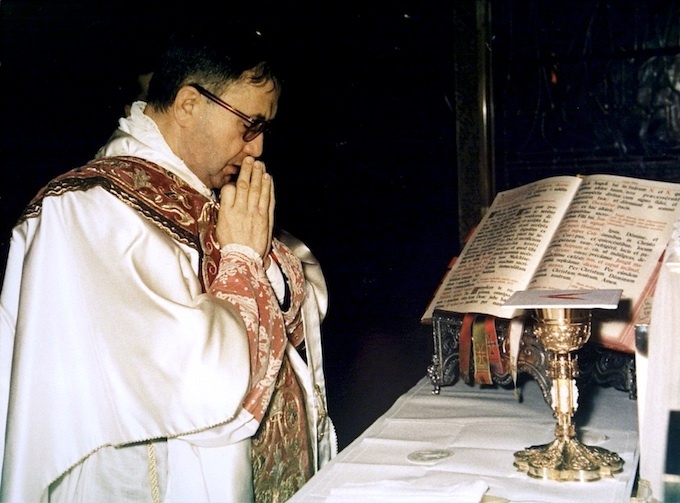 This is a fairly sober account, although its title is oddly anachronistic: "Why St. Josemaría Escrivá Only Celebrated the Extraordinary Form." Someone might say it is a matter of indifference which form the founder celebrated. But this cannot withstand critical scrutiny. After all, the two forms are sufficiently distinct and different that Pope Benedict XVI could establish them as two forms or uses of the Roman Rite. Hence, the total formation offered by each will be distinct and different. Thus, if one's goal is to assimilate the spirit of the founder of a community, one should strive as much as possible to be formed in the same school of piety in which he was formed, the same texts, chants, and ceremonies.